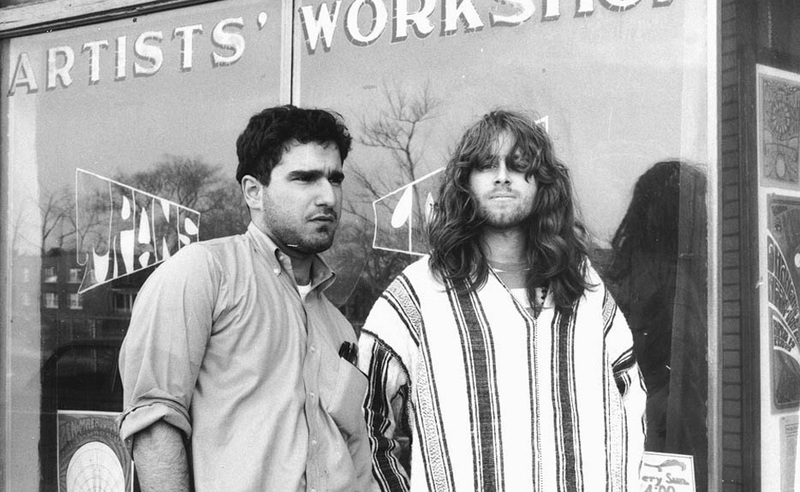 Fifth Estate was started by Harvey Ovshinsky, a seventeen-year-old youth from Detroit. He was inspired by a 1965 summer trip to California where he worked on the Los Angeles Free Press, the first underground paper in the US; Harvey’s father, inventor Stan Ovshinsky, knew the editor of the Free Press, Art Kunkin, from their years as comrades in the Socialist Party. The name “Fifth Estate” was inspired by The Fifth Estate coffee house on the Sunset Strip, where the Free Press had its office in the basement. The first issue was published on November 19, 1965—”That’s what we really are—the voice of the liberal element in Detroit,” it said. It was produced on a typewriter and then reproduced by offset lithograph, in an 8-page tabloid newspaper format with two pages left blank. It featured a critical review of a Bob Dylan concert, a borrowed Jules Feiffer cartoon, alternative events listing and an announcement of a forthcoming anti-Vietnam War march. None of these things would have been included in contemporary newspapers. In 1966 Ovshinsky moved the office from his parents’ basement to a Cass Corridor storefront near Wayne State University. Here the paper was saved from extinction by the Detroit Committee to End the War in Vietnam, John Sinclair’s Artist Workshop, and other radicals, with Sinclair signing on as the paper’s first music editor. Later in 1966 the paper moved to Plum Street where they also established a bookshop. Fifth Estate thrived in the late sixties, a period when over 500 underground papers emerged in the US. Thousands of copies were distributed locally with hundreds more being sent to GIs in Vietnam. Fifth Estate openly called on soldiers to mutiny. In 1967 the Fifth Estate offices were tear-gassed by the National Guard during the 12th Street riot. In this period the print run reached 15,000 – 20,000 copies, publishing biweekly in a tabloid newspaper format of 20 to 32 pages, with local ads and listings. An internationally acclaimed media fixture in Detroit for more than 30 years, Harvey O. has created and told thousands of stories throughout his expansive career. From his early days of radio to later years of television and now documentary film and video, Ovshinsky’s career is a colorful and fantastic voyage, at times brave and visionary. 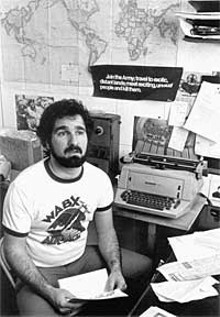 Founding a famous underground radical newspaper at age 17 (The Fifth Estate, still being published, but without him), then blazing a trail for free-form radio on Detroit’s storied indie station, WABX, Ovshinsky established his liberal and tenacious personality in Detroit from the beginning. Perhaps a bit mellowed over the years, he nonetheless still has those defining qualities. Whether now it’s a corporate video about the need for small-market insurance reform or a compelling full-length doc on a family living with AIDS, Ovshinsky’s skills and craftsmanship haven’t dulled. While Ovshinsky has received many and varied awards for his work, this honor represents something special. “I am in awe of what Detroit Docs is doing,” he says. “An international documentary film festival in Detroit? I would have said not possible. But what [founder] Chris Walny and the rest of the volunteers are doing is very brave, very visionary. Hollywood is a business, that’s a fact. There’s not much room for creativity and voice once those mammon-soiled hands get around a screenplay/idea/film/song. Ovshinsky could have gone out there to become one of countless people who don’t get their phone calls returned, but he chose to stay in the D, continuing to hone his voice and teaching others to do the same. He teaches writing workshops for teachers and students, as well as storytelling workshops for corporations that want to maximize the impact of their in-house video productions. A retrospective of some of Ovshinsky’s films will be shown at the festival this year when it runs Nov. 11-14. He’s also offered to host a workshop after his retrospective on Sunday, Nov. 14. “I’m going to tell everyone that comes to the workshop to keep looking and don’t give up,” he says. “We have to play with the cards we’re dealt, and we’re holding Detroit cards, so toughen up.